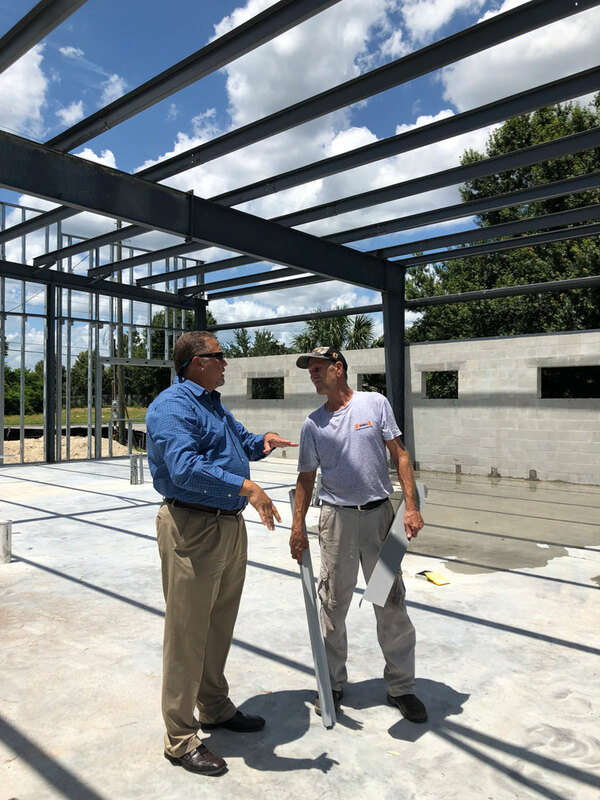 Construction progress on the new McKee Construction Company office building, located on Monroe Road in Sanford. We at McKee are excited about this new project. 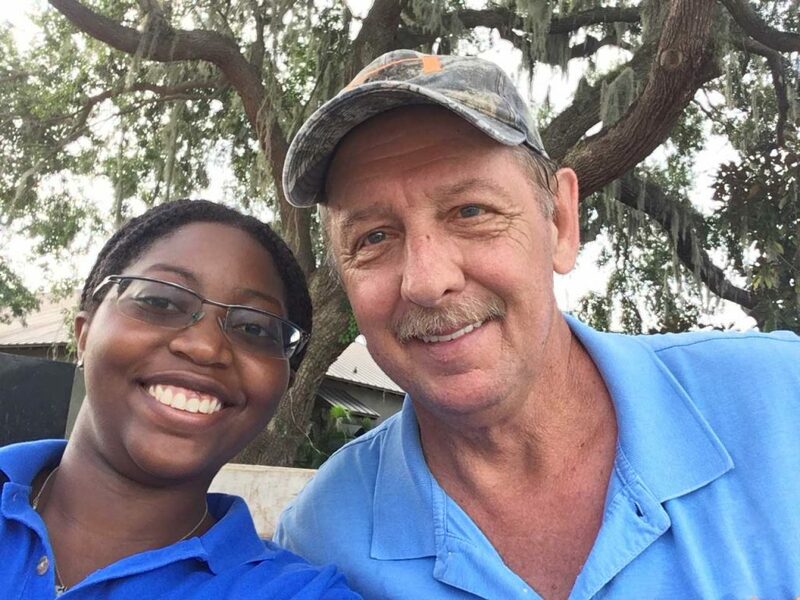 Our summer intern Kristy from the University of Florida with Mike Vail one of our superintendents are all smiles at the jobsite. 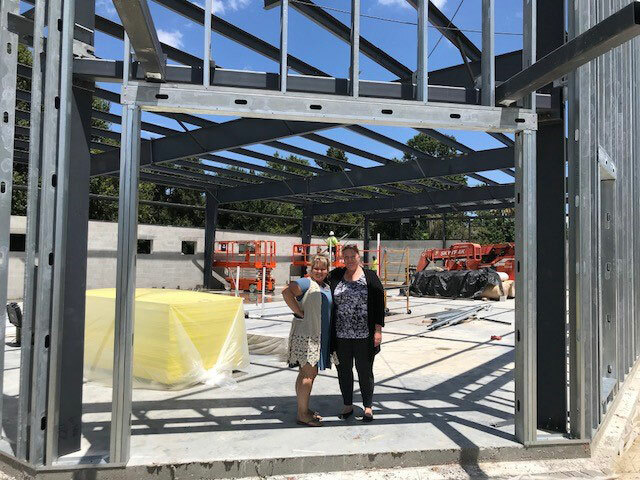 Kathy Bowen our Office Manager and Patricia Donaldson the office Administrative Assistant are envisioning their new spaces. 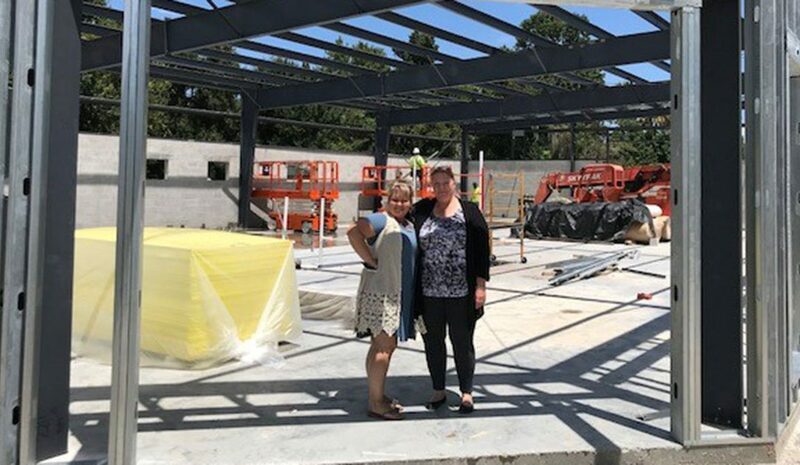 Contact our sanford office today for your construction needs!